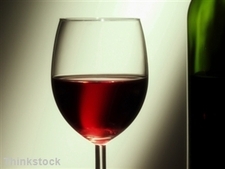 Red wine "may prevent blindness"
People who drink red wine may be helping to reduce their risk of blindness thanks to a naturally-occurring ingredient in the drink, a new study has suggested. Research carried out by experts at the Washington University School of Medicine in St Louis shows that resveratrol, which is found in red wine, grapes, blueberries, peanuts and other plants, stops out-of-control blood vessel growth in the eye. The findings were reported in a recent issue of the American Journal of Pathology and retina specialist Dr Rajendra Apte, the study"s senior investigator, said there were previous reports on resveratrol"s effects on blood vessels in other parts of the body, but there was no evidence that it had any effects within the eye. "We have identified a novel pathway that could become a new target for therapies. And we believe the pathway may be involved both in age-related eye disease and in other diseases where angiogenesis plays a destructive role," he explained. Recently, researchers from Queen Mary, University of London made a discovery that has brought them several steps closer to understanding change blindness - the failure of humans to detect changes to scenes around them.